The best way to manage all your 2FA accounts is to use the Authy app. It enables you to have a single mobile app for all your 2FA accounts and you can sync them across multiple devices, even accessing them on the desktop. Install Authy on your device by searching for it in your device’s app store. Then click “Two-factor Authentication” in the navigation menu to the left. On the next screen, click “Enable Two-Factor Authentication.” Note that anywhere Google Authenticator is promoted, Authy can be substituted. On the next screen, you will be asked to scan a QR Code with your authentication app. Keep this window open as you reach for your phone. 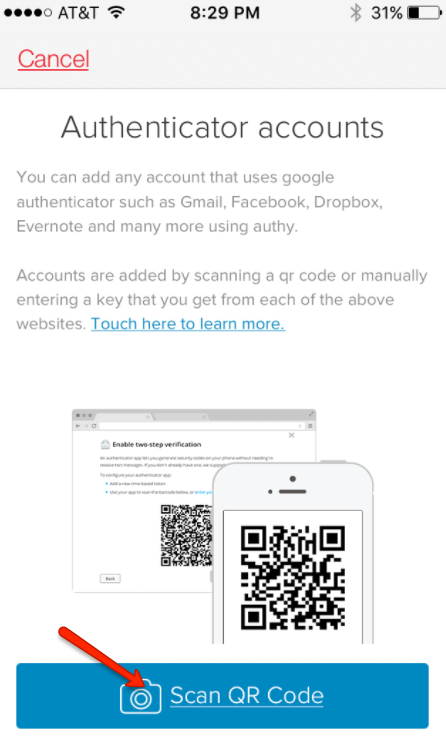 Take out your mobile device and open the Authy App. At the bottom of the screen, tap the plus sign to create a new account. When you are ready click “Scan QR Code” and hold your device up to the computer screen. Record the numerical token provided for EpicNPC. Note that this token refreshes every 20 seconds. You’re all set! You’ve enabled 2FA on your EpicNPC account.